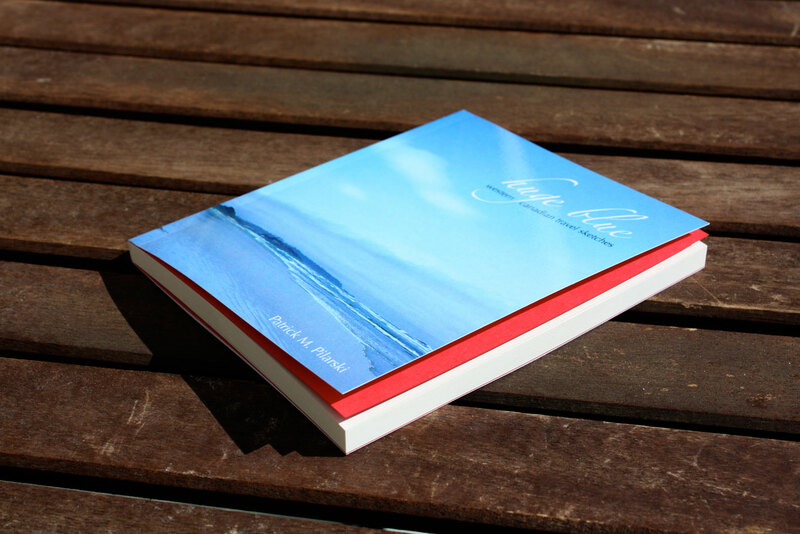 104 pages, perfect bound, scarlet fly sheets, 4.25" x 5"
In his first full-length collection of poetry, Huge Blue, Edmonton writer Patrick M. Pilarski explores the relationships between people and places; between the urban and natural world. 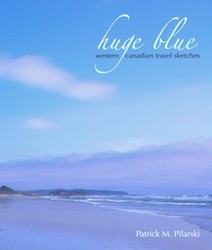 A collection of short-form travel sketches—contemporary haiku, tanka, haibun, tanka prose, senryu, and quatrains—Huge Blue is a poetic tour guide to Canada's stunning western landscapes. Huge Blue bridges contrasting physical landscapes with recurring characters and images—crows, moments, light and sky. These lead the reader through each different environment, presenting snapshots of rich diversity while at the same time connecting to a unified progression of time and place. Using precise and direct language, the poems in Huge Blue form junction points between humanity and wilderness under a vaulting expanse of sky. — Andrea McKenzie Raine, Victoria, B.C. Huge Blue also inspired its very own recipe, the Pilarski Marsh Pot, created by a good friend (and most excellent chef) from What's Cooking With Doc. Be sure to check it out! Huge Blue was released for sale on September 17th, 2009. It can be ordered directly from the publisher Leaf Press (free shipping), via Chapters/Indigo, and can also be purchased from a number of independent booksellers across Canada.